We will inform you <br>as soon as this item is back in stock! If the item is not available for more than 3 months, the notification could been canceled automatically. It is a special moment when the youngest member of the family can at last sit at the same table – and that represents a major step to being integrated into family life.Taking part means everything! Filou helps to give kids a boost and confidently steadies all tots that are unsteady on their feet or have to wriggle around. What makes Filou so particularly likeable is that its sweepinglines and its dynamic design exude cheerfulness and its inner qualities win you over – a great deal of solid beech has been processed here! Of course Filou grows with its "owner” and adapts to each new height thatthey reach. 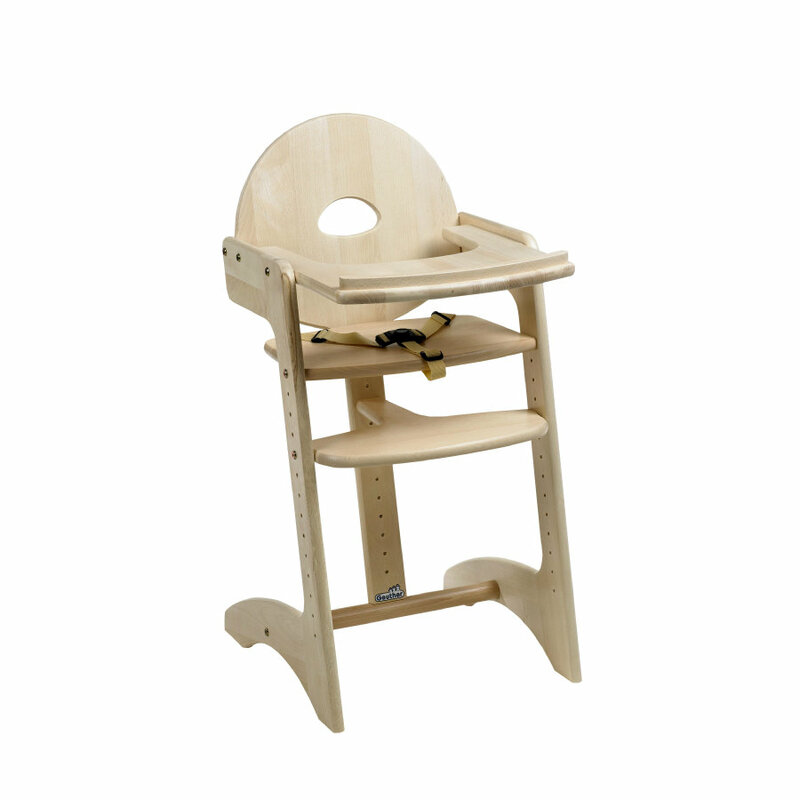 If required, Filou, with its high backrest can support the child’s back right up until adolescence. Here kids can really make themselves comfortable: with the brightly patterned, washable upholstery as anextra, the chair becomes a favourite spot to sit. Thus in the course of its existence Filou has to cope with a fair amount – and the robust high chair passes that test with fl ying colours. Filou can be cleared out of the way with just one hand, e.g. when cleaning – thanks to the integrated handle in the backrest.